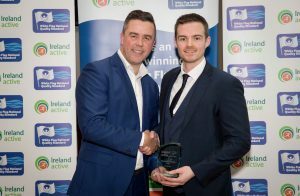 WIT Arena has been awarded the Gold Standard Award for Fitness Facilities and has also taken the overall Best Fitness facility in Ireland Award by Active Ireland. The Arena’s win was announced at a function in Kilkenny on Friday, November 19. The awards ceremony recognises leisure and fitness facilities for achieving remarkable standards in the areas of safety, hygiene, customer service and human resources.